As good as the win is, the initial problem was that the Decision was not published. This is not unusual with Appellate Court Decisions in California. We cannot rely upon an unpublished Decision in further litigation; for example, in the multiple ongoing cases we are actively pursuing in San Bernardino Superior Court. We were only allowed 16 days for the Appellate Court to receive written requests to publish the Decision. So we immediately put the word out to our Internet Action List. Fortunately, our loyal supporters (you guys) generated an avalanche of letters to the Appellate Court from across the country, and even from as far away as Australia! Truthfully, we were advised by multiple legal experts, even from an active judge, that the chances of getting the Decision published were about zero. So even generating hundreds or thousands of requests seemed like a long shot. At the same time, the State petitioned the Third Appellate Court to reconsider its Decision, submitting a lengthy brief, that in my own opinion, was way out there in fantasy land. Then, to all of our surprise, the Third Appellate Court of California formally published its Decision in the Brandon Rinehart case a full six days ahead of their deadline, and also denied the State’s Petition for a rehearing 16 days before their deadline! Talking about sending a strong message to the State! The Decision clearly confirms that the State does not have the authority to impose restrictions which materially interfere with the commercial viability of mining on the public lands. Now that we can rely upon the Appellate Court’s extensive reasoning in existing and future State litigation, I personally see this as the most important legal development in support of California mining during the modern age. I suggest that the legal ramifications will find their way to other States, as well. I want to voice my sincerest thank you to all of you who responded to my appeal over the Internet to write letters to the Third Appellate Court. Our webmaster says it was the largest response we ever generated. Our attorney said he has a stack of service notices that is 2-inches thick! How’s that for people power? Let’s all pause for a moment and allow ourselves to enjoy a huge win for our side; the biggest ever! Our industry has been held down by unreasonable over-regulation for so long, it is going to take some time to absorb how far-reaching the implications are by this published Decision. For one thing, it should go a long way towards getting us a reasonable set of dredging regulations in California for the 2015 season and beyond. 1) There are two fundamental parts of the federal mining law. The first allows all Americans free access to the public lands in search of valuable mineral deposits. The second part allows a person to claim any such discovery for him or herself as real property. The discovery only needs to be potentially commercially viable enough to justify further development. People don’t know this: You have free access to the public lands to search for gold deposits; and if you find one, you can claim the discovery for yourself as real property! 2) Brandon Rinehart’s case involved the second part of the mining law. He and his family already discovered a gold deposit on the bottom of a waterway. Trying different methods, they ultimately concluded that the only method of extracting the gold in a commercially viable way was with the use of a suction dredge. California is refusing to issue suction dredge permits. So Brandon continued working his deposit with a suction dredge without a permit until the State issued him a criminal citation. He was found guilty in Superior Court for breaking the law. So we appealed to the Third Appellate Court and won a landmark Decision that now largely reverses the order of things in the State of California. 3) You should read the Decision yourself, because it provides a substantial discussion concerning the limits of State authority concerning mining. 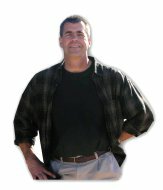 My own read is that the State has overstepped its authority by first passing a law that requires a permit to operate a suction dredge, and then they refused to issue Brandon a suction dredge permit, even though suction dredging is the only commercially viable method of extracting the gold from his deposit. 4) It is also my opinion that there is no reasonable way to separate the Appellate’s reasoning from the first part of the mining law. By this, I mean that if a suction dredge is the only effective tool I can use to search for a gold deposit on the bottom of a river, the State must issue me a dredging permit, or they will be materially interfering with my exploration program; an activity which Congress has directed the government to encourage on the public lands. 5) This reasoning implies that the State must issue a suction dredge permit to any prospector who either has already located, or intends to actively search for, valuable gold deposits at the bottom of California’s waterways where suction dredges are the only effective way to reach down to where the gold deposits are located. 6) Refusal to issue the permit would duplicate a similar set of circumstances as Brandon was facing when he decided to move ahead without the permit for his suction dredge program. 7) So here is the 500-pound bomb: The State of California is not issuing any suction dredge permits at the present moment. Based upon the extensive reasoning voiced in the Third Appellate’s published Decision, I would be surprised if any prosecutor in the state would attempt to pursue a criminal case against any suction dredger who is operating within the recently-adopted 2012 suction dredge regulations. Said another way, the 2012 regulations have been adopted as California law. It’s not much of a reach to infer from the Appellate’s Decision that the legislature’s Moratorium on the issuance of suction dredge permits will not stand up in a legal challenge. 8) We all have to make our own decisions. And on something as important as this, I encourage you to seek independent legal advice. But I am hearing from a lot of people that they are planning to dredge in 2015 with or without permits. 9) This does not mean that the DFW wardens might not come out and harass dredgers, and perhaps even write citations (that are unlikely to be prosecuted). But they and their bosses should beware that there are very powerful criminal and civil, federal civil rights laws on the books that forbid public officials from denying us our rights under color of law (like coming out with a badge and demanding we stop doing something that we are allowed to do). The Third Appellate has sent DFW a strong message. The message is that if a suction dredge is the only way for us to gain access to submerged gold deposits; we have a right to use one, even if the State refuses to issue us a permit. 10) One more thing: The 2012 regulations are unreasonably restrictive to the nth degree. I’m not going to go into it here, because the problems with the regulations have been covered extensively in other places, and are a big part of the active litigation in San Bernardino. But I will provide an example: The 2012 regulations are only going to allow us to use 4-inch dredges on the Klamath River. While some economically-viable gold deposits can be discovered within reach of a 4-inch dredge, the most valuable deposits are down under 8 or 10 feet of compacted streambed. It is virtually impossible to reach those deposits with a 4-inch dredge. I personally infer from the Third Appellate Decision that this “material interference” in the existing regulations would be just another overreach of authority by the State. Rich Krimm and I attended the fourth session of the Mandatory Settlement Discussions (MSD) in San Bernardino Superior Court on October 1st, 2014. There have now been a total of eight full days of grueling and very challenging discussions over dredging regulations with all the parties involved in the San Bernardino litigation. Judge Gilbert Ochoa, who presides over the discussions, has a very good understanding of the numerous issues, and appears driven to reach a settlement that everyone can live with. It is our opinion, based upon his comments, that he is pleased at the progress we have made so far. MSD rules bind us to confidentiality. So we cannot provide specific details about the Discussions at this time. However, we can say that we do feel that real progress is being made. All or most of the contentious issues have been addressed at least once. Some of the issues have been addressed several times, each time with a little more progress being made. Some of the issues have not been worked out. I am predicting the judge will most likely have to make the final recommendations in those areas. However, the subjects have been discussed in enough detail that we feel the judge has some very good options to resolve the issues. Some important progress was achieved during the last half of the last day. I should mention that the solidarity of the members of the small mining community has never been stronger. Regardless of who we represent, we have all come together for the common good of all miners with the intent of getting us all back into the water with acceptable regulations. This ‘Spirit of Cooperation’ is something that we all can be proud of. The next court date scheduled is for November 14th, 2014, and is limited to just the attorneys. The attorneys will be arguing, some very convoluted and complex legal points regarding our Motion to bring another Party into the Discussions for settlement purposes. All of the parties have brought something to the table, but we would like to extend a special thanks to Mark and Liz Cutler, especially Liz, for their part in the Discussions. They are Parties in the ongoing litigation, and they are also very valuable members of The New 49’ers. They have brought a unique set of technical skills based on their professions, and have contributed greatly to rebut some of the misguided statements and requests by our opponents. As most of you already know, James Buchal and David Young have represented the mining community now for many years, and have significant wins under their belts. They have always done an outstanding job, but they have been stellar in their performance getting us through these Discussions. Those of us in the Discussions are very thankful and proud to be in a position to represent the mining community. Having said that, we would not be there if it wasn’t for all of you who have provided information and continued financial support so that we can all benefit and get back in the water. 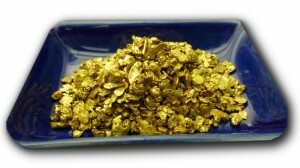 We Are Giving Away Dave Mack’s Gold Nuggets in Just Two Weeks! Please take note that we only have 2 more weeks remaining in The New 49’er Legal Fund active fund-raiser. Because we are making such important gains, in addition to our own legal expenses, The Legal Fund has offered to assist others in the active litigation that are having difficulty keeping up with the costs. After all, we are fighting for the future rights of all small-scale miners! In anticipation of all this legal activity, several months ago, I consented to allowing three ounces of my favorite gold nuggets to be used as drawing prizes by The New 49’ers Legal Fund in the ongoing fund-raising effort. There will be 25 prizes in all. Check it out right here! The drawing will take place just before the close of business (5 PM) at our headquarters in Happy Camp on Friday evening, 31 October 2014. That’s about 2 weeks from now. By the way, so far, participation in this fund-raiser has not generated enough contributions to cover the value of my cherished gold nuggets. What’s up with that? Actually, I know you guys mostly wait until the end to make these fund-raisers come out ahead. Thanks for all your support, my friends. I know you will all do your best. The fight would have been lost a long time ago if it were not for you! 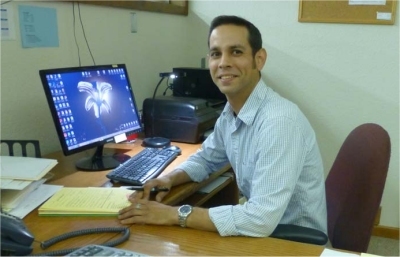 We want to extend a warm welcome to Tony M. Balderrama who has taken over in our main office as our new Office Manager/Accountant. The position was held by Marcy Charlan for 15 years. Marcy decided to make a career change this past spring and is now owner and manager of a doughnut shop in Medford, Oregon, and seems very happy with it. She has helped out considerably in the changeover, and Tony still calls on her from time to time. Tony is highly qualified for this job, is very service oriented, and is very personable in person and on the phone. He is a good addition to our office team and we feel very lucky to have him. All of the fire restrictions have been lifted from this past season’s catastrophic wild fires. Now that the smoke has cleared, I’m pleased to announce that, other than our Scott River property at S-1, there does not appear to be any important fire damage on any of our extensive mining properties. None of our popular campgrounds sustained any damage. Really Good News Coming Soon! The good news just keeps on coming! On top of the significant legal victories we have made, you guys will want to stay tuned in for some fantastic news about some (extensive) new properties we have just purchased along one of the historically-richest portions of the Klamath River! We will have maps, GPS coordinates, images and video in an upcoming newsletter.